On the eve of the admissions cycle for New York City kindergartens, Alex and Greg Wheeler have high hopes for four-year-old Jake. 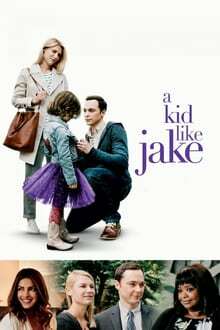 The director of Jake’s preschool encourages them to accentuate Jake’s gender expansive behavior to help him stand out. As Alex and Greg navigate their roles as parents, a rift grows between them, one that forces them to confront their own concerns about what’s best for Jake, and each other.